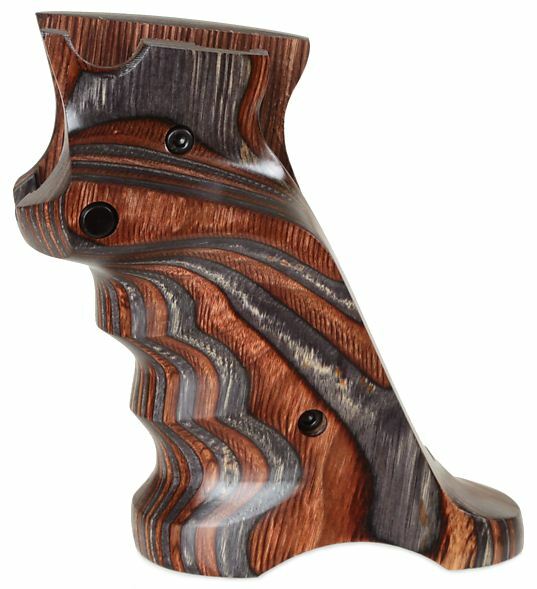 These laminated target grips feature a thumb rest, a heel rest and finger grooves. The Grips are designed to give the shooter a more relaxed and steadier hold. Grips are CNC machined from laminated wood and include an extended bolt release (silver), extended magazine release and four Allen head screws. These grips will not fit the Ruger 22/45 model of the Mark III.